Thank you for your interest in volunteering* with our shelter! You may sign up for an orientation date from the list provided below. If you sign up multiple people under one name, please add names of all additional participants in the comments. After signing up, you will receive a confirmation email and also a reminder email approximately 48 hours prior to the date you chose. As we have limited capacity, if you are no longer able to make the orientation, please reschedule or remove your name from the list to make space for other volunteers. Dogs by Debin is located BEHIND Deogi Pointe at 2312 NW 108th St, Kansas City MO 64154. Upon arrival, please pull BEHIND Deogi Pointe and park in the gravel area along the side or in the back of the main building by our office where signs indicate. We recommend comfortable dress and request all volunteers wear close-toed shoes. *Children volunteering: Dogs by Debin loves being part of a child’s education of philanthropy, community service, and animal welfare. We accept junior volunteers kindergarten age and older however all volunteers under the age of 16 must be accompanied by a parent or guardian at all times. Need a bit more info? 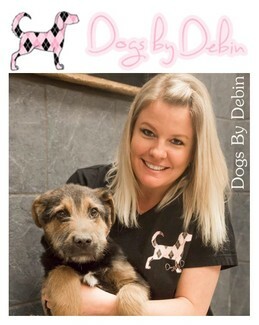 Visit our volunteer information page at https://dogsbydebin.com/volunteer/. I think I'm long overdue to officially volunteer and I'd love to.